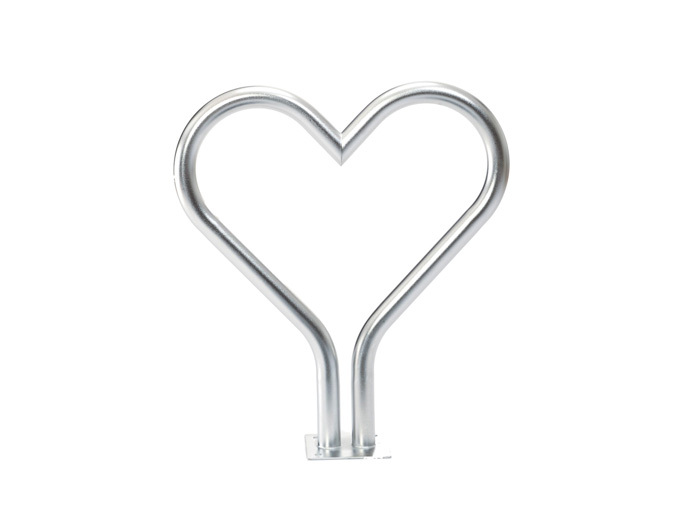 The unique design of the Tough Love Bike Stand is a popular alternative for safe and secure cycle parking. This novel bike stand consists of of thick steel or galvanised steel bent into the shape of a love heart and provides cycle parking for 2 bikes. This allows you to lock the frame, front and rear wheel of your bicycle, safeguarding it against theft.